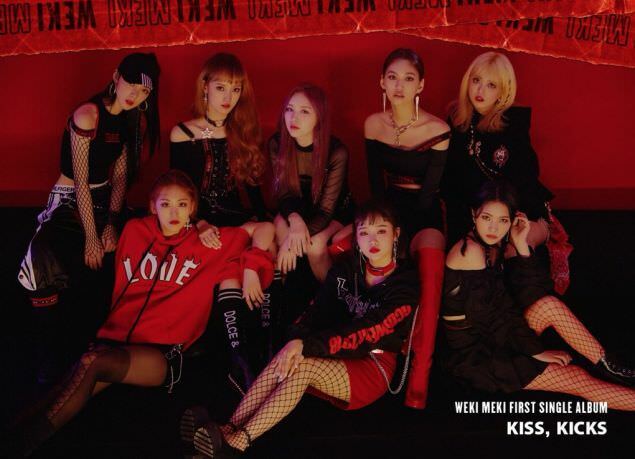 Weki Meki has just launched their October comeback, with the release of their first single album 'Kiss, Kicks.' They have three brand new songs on here, including the title track "Crush." And Choi Yoojung participated in writing the rap parts for the first two tracks! "Crush" is the title track of this single album, and sounds fantastic. The rap in this starts fairly quickly and is catchy for once -- there's some nice flow there. I like how the intro to this song stays around during the main verses, the insistent squeaking from the synths just makes it even more awesome. I know it's been said before, but this song reminds me so much of second gen k-pop (which is when I got on board, so it brings back the feels). And yeah, it's a bop. 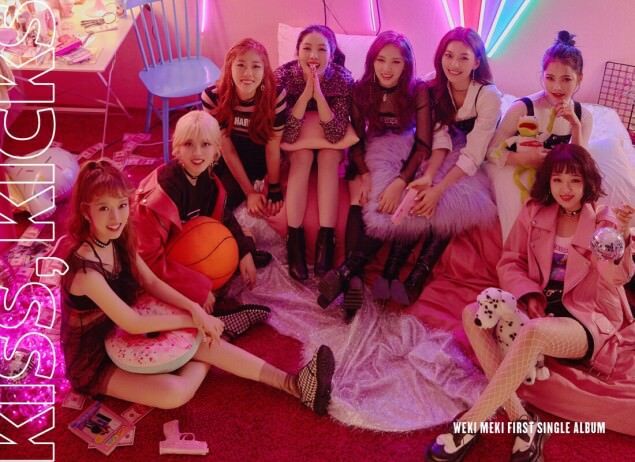 Weki Meki is capable of some nice flourishes, and "True Valentine" is a great example. We have the same kind of elements that made songs like "I Don't Like Your Girlfriend" hits; great vocals, a fun melody, and solid harmonies. I can see someone dancing to this from the first second to the last, and putting it on repeat. "Dear." is a ballad, sung to an acoustic guitar, and it's a pleasant, soothing one. 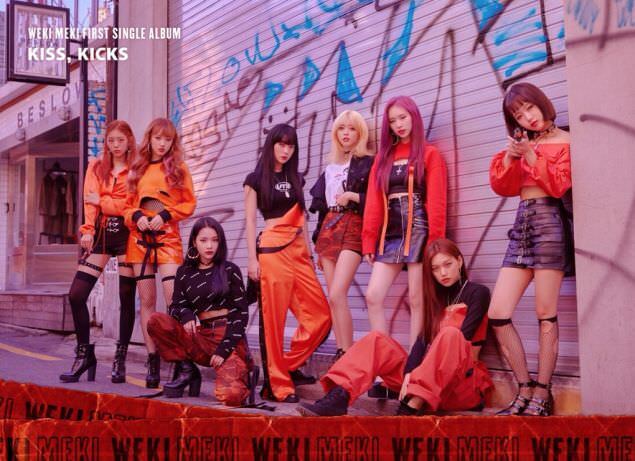 While Weki Meki isn't known for its ballads, I don't think they get enough credit. Most of the ballads I've heard from them are good tunes. And "Dear." is no exception. It's got a nice "I'll see you again" vibe running through it that makes me feel warm inside. About the worst thing I can say about this is that it was short. Three tracks. But it was meant to be. Each of these tracks was a jam, and I really like "Dear." And "Crush," with its second-gen vibes is worth the price of admission. 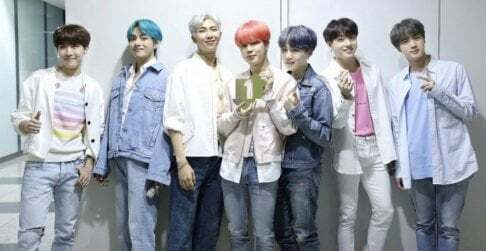 If you've seen the teasers, you'll remember that their concept was guns... and roses. They look better than a bunch of 50+ rockers, though, I'll give 'em that. In this MV, they range from edgy to cute. And if you think that sounds a bit off, you ain't seen nothing yet. Motorcycles, guns, blowtorches, throwing knives and edginess, and that's really what's going on here. But, eventually, it all falls apart. Sei is absolutely charming here, and Doyeon... wow. You'll know what I'm talking about when you click "play." And the fails are all staged, and well done. As much as I have an issue with the helpless girl trope, at least in this case you have a kickin' soundtrack while you watch them mess up, it was funny. I haven't even mentioned the dancing yet. The dancing was such a minor part of this, but it contributed to the overall feel well. They were dolled up all in black and not as nice girls either. There's the extra edge in this. Is all this new? No. 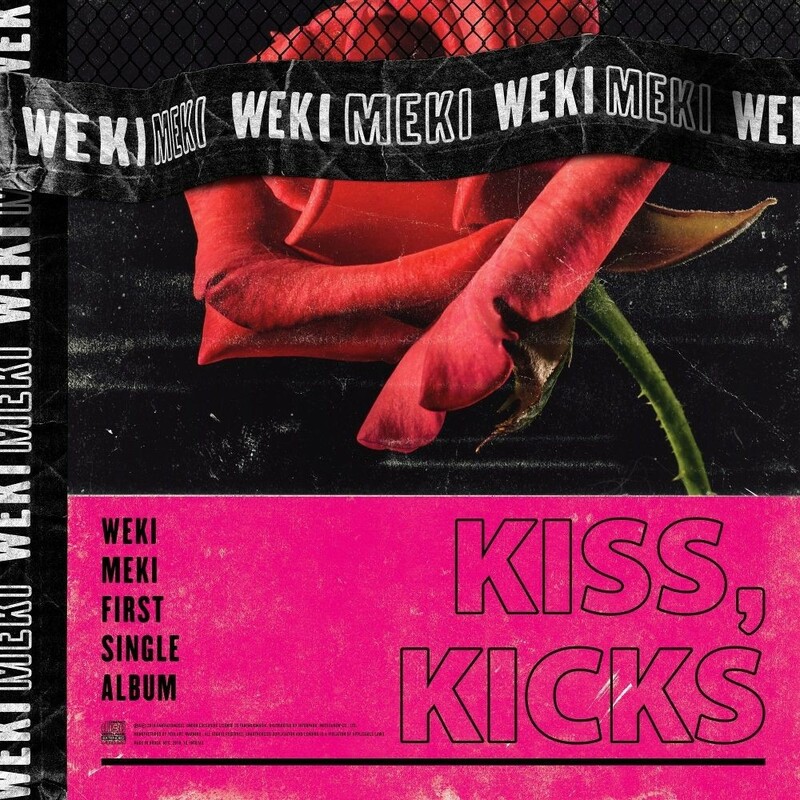 Yes, for Weki Meki, and that's to their credit. They pull it off well. And kudos for making an MV that pretty much dropped my jaw to the floor.